Before you get behind the wheel of a bus or truck, you’ll need to have the proper training. Thankfully, Universal Truck Driving School, Inc. is here for you. Our goal is to help you become the best commercial driver you can possibly be. Let us train you, and you’ll be driving commercial vehicles like a professional in no time! For more than 25 years, our doors have been open to aspiring truck drivers in Los Angeles County and San Bernardino County. We offer training sessions that help you earn your Class A (commercial tractor and trailer) license and Class B-P (bus with passenger endorsement) license. Our instructors have been with us for more than 6 years, and all of them have had their Class A licenses for more than 15 years. 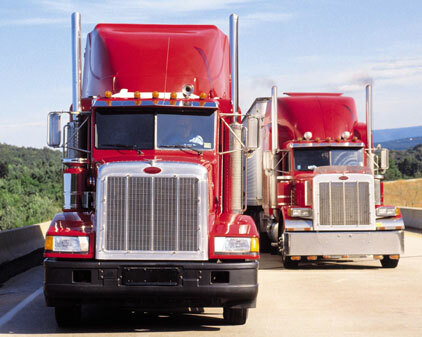 With their extensive experience and knowledge, our instructors can successfully train you to utilize the appropriate commercial driving techniques. When Ricardo Arrua was in his late 20’s, he got his Class A license and began his journey into truck driving. After 10 years, he realized that he could use his skills and knowledge to help other people in his community so that they too could gain financial security. It was then, in 1993, that Ricardo and his wife, Alicia, founded Universal Truck Driving School, Inc. Since then, Ricardo has strived to continue to help his community and with the help of his family, it has allowed individuals to get stable jobs by training them to become professional truck and bus drivers. Today, we continue to honor that legacy. We aim to help individuals obtain their commercial driver’s licenses so that they will be qualified for more job opportunities. Our main office is in Los Angeles, CA and we offer training in two locations for your convenience: Los Angeles, CA and Upland, CA. Approved by the Bureau for Private and Post-Secondary Education (BPPE).